I.e. Year,model or whatever else it tells us? 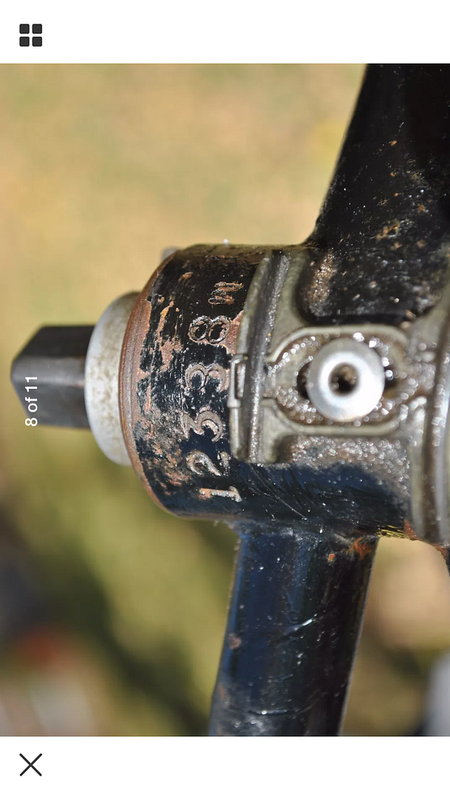 Saw the bay listing and it stated it was a 19.5in frame, which its looks like to me as i have two the same but the serial shows it to be the 123rd made ( 18in ) 1988 Wicked...so possible a size miss stamp maybe or custom geometry 18in. Close, it's the 1238th wicked built in 1988. For 1988 and 1989, there was no size designation used. I'm putting together a serial number decoder, just need to check it over once more then I'll post it up here. One thing I wished that we did was to serialize forks but that never happened so it is likely that there are no accurate counts of the number of unicrowns, box crowns, Yo Eddy's, or Big One Inch forks and all the different sizes and configurations (threaded or threadless) that were manufactured during the Somerville era. I have no idea if that sort of thing was tracked in NY or Stowe. Awesome input as usual Scott. If you want to know the time ask a policeman! Love the Tomac spec 'Proto' Team Comp (GP) Wilson stainless dropouts and Campag Wonder where that bike is now ? Someone posted that bike here a while ago! It has a lot of history and great paint. Wonder if it was custom geometry. Tomac rode a 72º head angle on his race bikes. Find More Posts by J.S. No I don't, someone else posted this page a while ago. Contact Chris, he should be able to provide that page.